If you’re in the market for a new staircase – maybe you want to replace one you already have, or perhaps you’re looking for an addition to an outdoor area? You have a couple of different options to consider. You’ve probably seen spiral staircases in other homes, but maybe you’ve never given any thought to adding one to yours. After all, they’re expensive, impractical, and hard to install, right? Well . . . no. 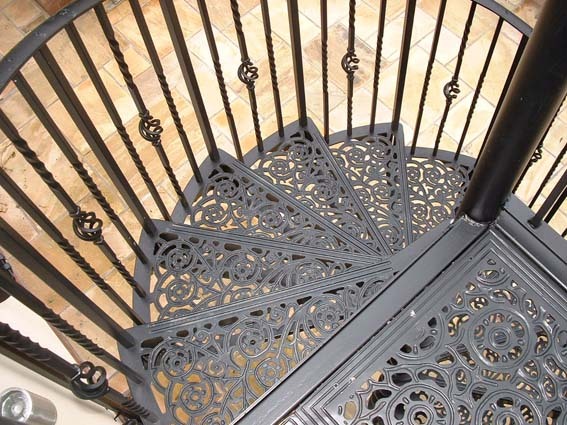 Spiral staircases are actually practical, affordable, and incredibly versatile. Keep reading to find out the many benefits spiral staircases can offer and whether they are right for you. The most immediate and obvious benefit to having a spiral stair is the amount of space you can save. If you’re trying to update a really small space, perhaps a house with a loft, this could be a great option. For our smallest diameter of staircase, you only need about 1200mm square of space. What’s more, as the staircase rises you have usable space for furniture underneath it. To access a bedroom with a traditional straight staircase, you usually need an area of at least 3350mm x 800mm. With a spiral staircase, all that’s needed is a space of 1500mm x 1500mm. That gives you much more room to stretch out and enjoy. From the antique charms of a traditional cast staircase, to the minimalist simplicity of a hardwood spiral, your staircase can be an elegant piece of functional art. Whilst you’re probably not aiming for anything quite as ornate as the staircase at the Vatican Museum, our spiral staircases can create a real talking point. All that said, a spiral staircase still isn’t going to be ideal for everyone. We accept that it won’t even enter into most people’s initial thoughts when thinking of buying a staircase. When you are making decisions on a permanent feature such as a staircase, we believe that the product should be tried and tested. This is why British Spirals & Castings have invested heavily in our showroom. We believe this demonstrates all the possible options you can have when considering a staircase whether spiral or straight. 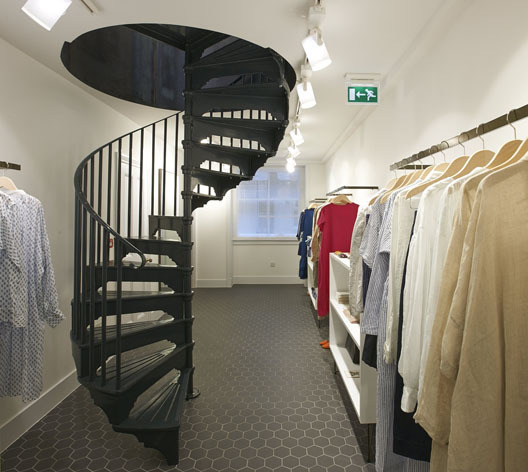 Take an interactive tour of the staircase showroom now by clicking here.